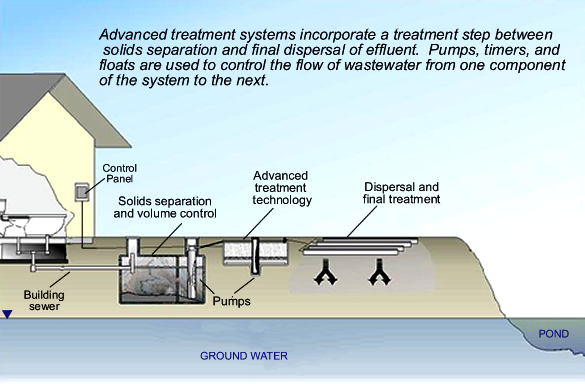 An onsite wastewater treatment system (OWTS), also referred to as a septic system, is used for the disposal of wastewater from structures that do not have access to a public sewer / wastewater treatment utility. The Environmental Health Division Liquid Waste Program is tasked with protecting public health and the environment from the potential adverse health and environmental impacts associated with OWTS. Liquid Waste Program staff review OWTS design proposals and design criteria, and inspect both new OWTS construction and repairs of existing systems to ensure conformance with all applicable codes. 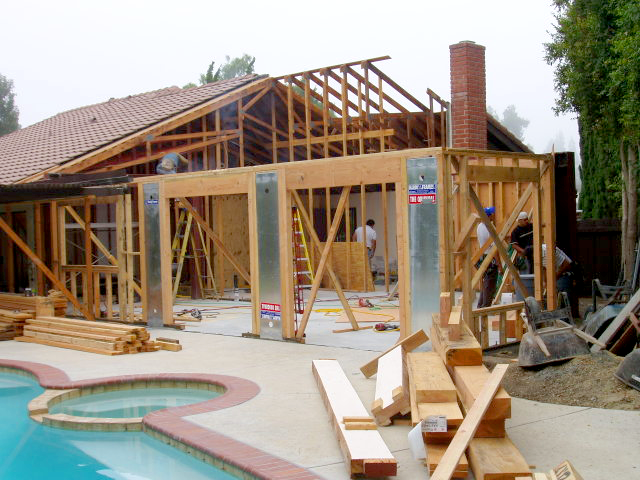 There are three basic permits for OWTS in Ventura County, construction or repair permits for conventional systems, construction or repair permits for alternative systems, and Certifications of existing systems. Want to meet with the Liquid Waste Program staff in person? Staff counter hours are 7:30-9am and 3:30-5pm, Monday to Friday. Click here for the Current OWTS Fee Schedule. In June 2012, new standards pertaining to OWTS were adopted by the State Water Resources Control Board and become effective in 2013. The Ventura County Board of Supervisors directed the Environmental Health Division to review current policies and regulations, and prepare proposed changes to the existing local OWTS regulatory program to implement the new State standards. Wastewater from an OWTS contain many types of contaminants such as nitrates, bacteria, chemicals, and viruses. If an OWTS is designed incorrectly or is not constructed in conformance with applicable building codes and construction practices, contaminants can enter the groundwater supply or streams and may result in the ponding of sewage above ground causing direct exposure to people and animals. 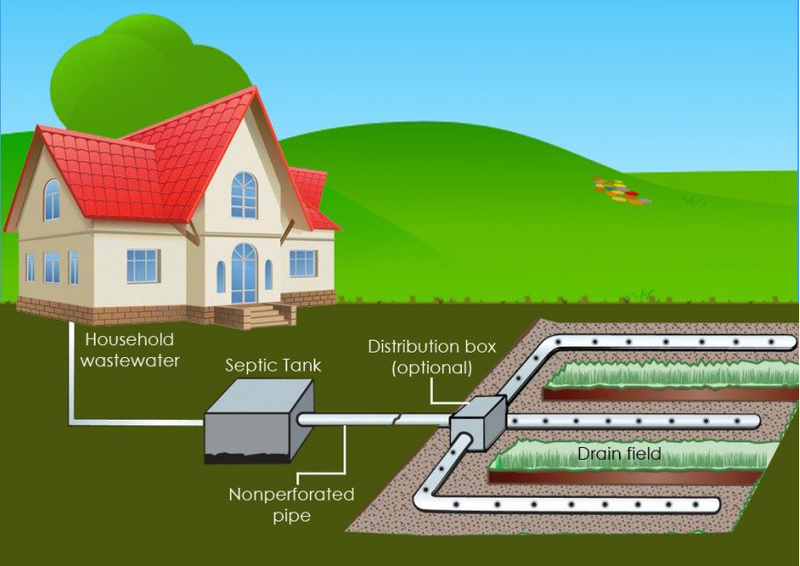 Click on the links below for more information on how a septic system works and how to keep your septic system in good working order. Do Your Part, Be SepticSmart! Top 10 Ways to Keep Your SepticSmart! Install a Conventional OWTS – A conventional onsite wastewater treatment system consists of a septic tank, distribution box, and disposal field (leach lines or seepage pits). NOTE: If your home or business requires a conventional OWTS, but is located within 200 feet of an available public sewer utility line, you will be required to connect to public sewer. 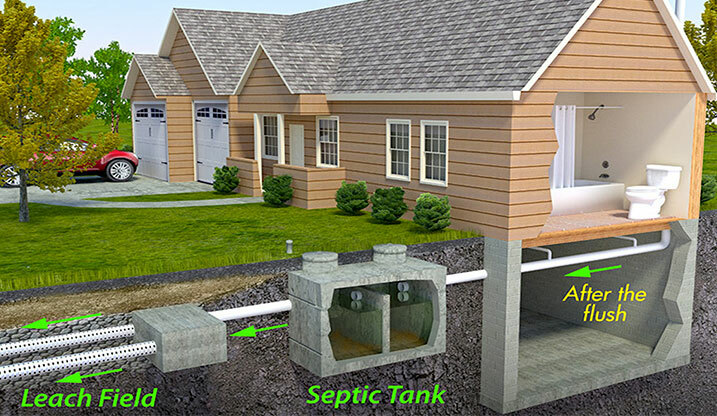 Leach lines distribute the septic tank effluent into the surrounding soil at a depth generally not more than six feet. They are typically long and narrow. This shallow dispersal system provides effluent disposal under aerobic conditions at a maximum distance from underlying bedrock or groundwater. Seepage pits consist of a drilled pit filled with drain rock through which the septic tank effluent is distributed via a central perforated pipe extending the full effective depth of the pit. Seepage pits should have a diameter of 4 to 6 feet, and the depth should extend no greater than 60 feet. Seepage pits are used when soil conditions near the ground surface are unsatisfactory for leach fields or when there is insufficient land area to install a leach field. Install an Alternative OWTS – An alternative onsite wastewater treatment system contains the same basic components as a conventional OWTS (septic tank, distribution box, and leach lines or seepage pits), however, site conditions require you to install additional wastewater treatment features. NOTE: If your home or business requires an alternative OWTS, but is located within ½ mile of an available public sewer utility line, you will be required to connect to public sewer. The three types of alternative systems currently approved in Ventura County are mound systems, subsurface sand filtration systems, and OWTS which require supplemental treatment units for nitrogen and pathogen reduction. 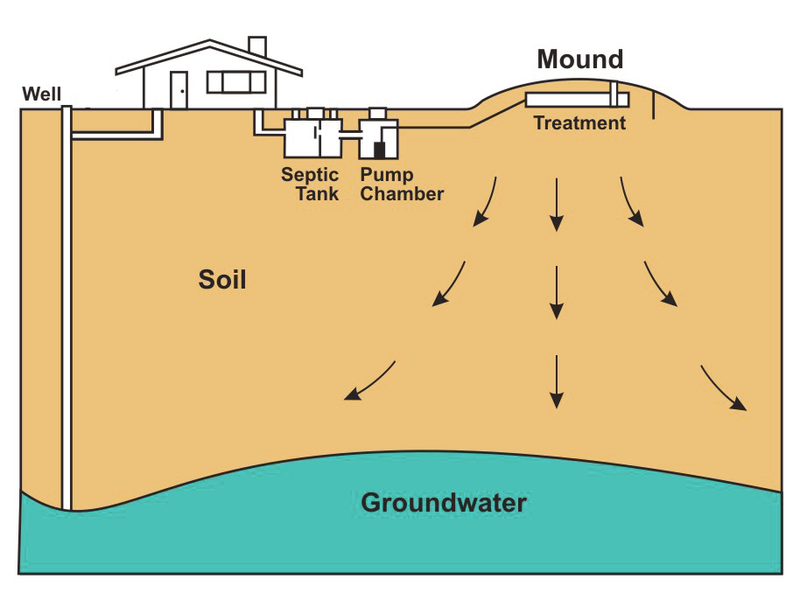 Mound Systems are typically used in areas with high groundwater. Mound System components include a lift pump and wet well, pressurized effluent piping, a sand fill mound, a distribution bed composed of gravel filter material and perforated distribution piping, and a cover of topsoil over the top and sloped sides of the mound. A Subsurface Sand Filtration System is used in areas where the character of the soil is fractured rock. Typical subsurface sand filtration systems include effluent piping, a subsurface distribution bed, a sand filtration bed, and a leach line, leaching bed, or seepage pit as the final dispersal field component. A Supplemental or Advanced Treatment Unit (ATU) is used where site conditions or applicable effluent quality standards necessitate additional treatment. Supplemental treatment components for nitrogen and/or pathogen reduction must meet NSF/ANSI Standard 245 or 40, and must be inspected for proper operation quarterly. Proof of a maintenance agreement must be submitted annually to the Environmental Health Division. Certify My Existing OWTS – There are three types of Certifications for existing OWTS, a full certification, a setback certification, or a mini certification. Setback Certifications are required when the applicant is proposing to expand the footprint of an existing structure and/or the addition of other structures that do not contain bedroom equivalents and/or plumbing fixtures. An on-site inspection is required to verify the location of an existing system and to insure the additional construction conforms to applicable setback requirements. Similar to Setback Certifications, Mini Certifications are required when the property owner is proposing to expand the footprint of an existing structure and/or the addition of other structures that do not contain bedroom equivalents and/or plumbing fixtures. However, with a Mini Certification, the location of an existing system can be determined by reviewing as-built plot plans and may not require an on-site inspection.